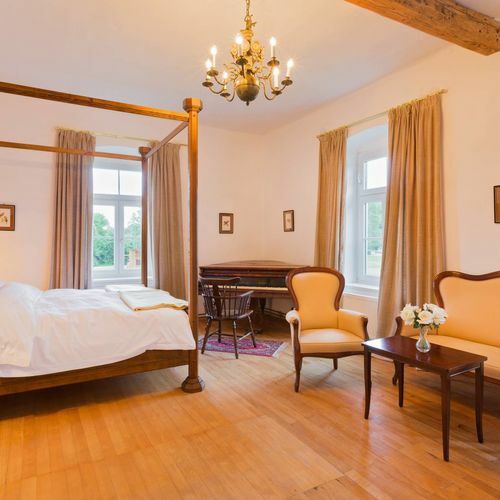 Situated just below the castle and surrounded by the 18 hole golf course is the lovely old building of the Castle’s Meierhof. Recently renovated the accommodation comprises a series of flats which can be rented separately or as a whole. Accommodation is divided into a large flat with entrance hall, three double bed rooms with bath rooms, a kitchen, a large drawing room and a further three smaller rooms with sofa beds. There is a fully equipped kitchen. 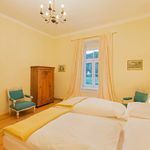 The Meierhof is ideal for over spill guests from the larger parties at the Castle or is available for weekly hire for family holidays. We are in the process of creating a beautiful walled garden in front of the Meierhof which will be stunning with outdoor seating, dining areas and views of the castle. Breakfast is available at the castle with prior notice. Chamber service is also available if required. 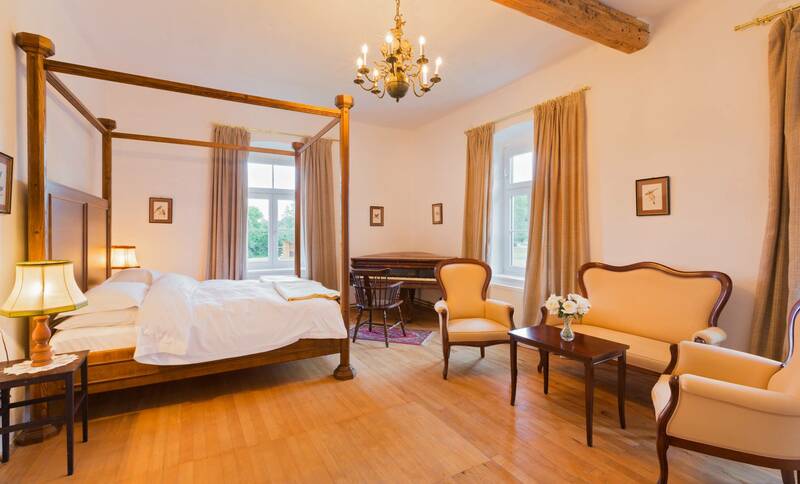 Reserve your accommodation and Meierhof Steinakirchen am Forst will directly send the confirmation in 1 workday.